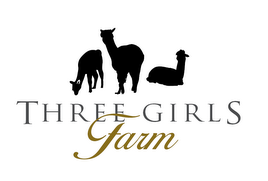 Three Girls Farm: When can we get a barn? We met with a renowned pole barn builder yesterday. He is working on a price for a 24'x36' pole barn with an 11'x36' loft storage area. There are overhead doors on north and south side. Two sliding doors under the overhang on the west side. and one slider on the east side. The overhang is 6'x24'. It runs to a small tack room on the end of the building. I'm waiting for the guy to get back to me on cost. He says it is cheeper in the winter because labor is less. (apparently they are all looking for something to do this time of year) Also, the price of lumber is expected to go up this year do to a slow building season last year. The area where the barn is going to be needs to be grading because it is a little high. The grading guy just left. He will get back to us on prices in a couple of days. With all of the rain coming down the last few days, there won't be any grading this week! I'm very curious about the prices of these things. We may need to adjust the barn size depending on the price. If it stops raining, the girls and I are going to go over to the barn and start halter training Nebula. I can't wait.